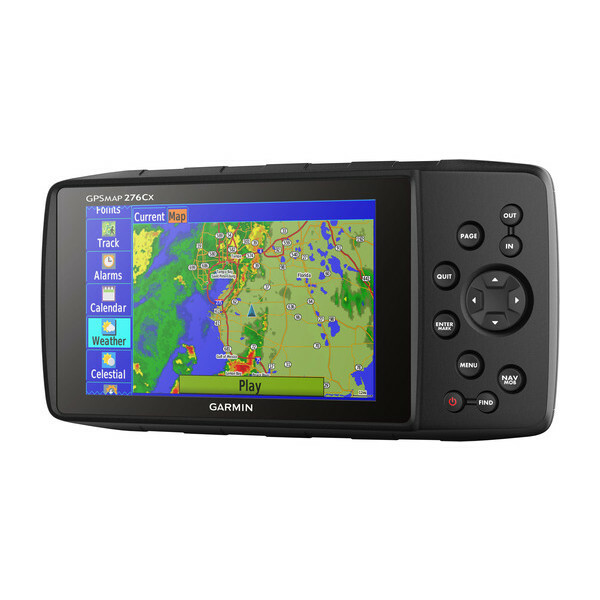 If you want to experience Garmin Navigation at its best the GPSMAP 276Cx is ideal for you. This navigator provides precise navigation off road or on water no matter where you take it. The new 276Cx adds a whole range of high-end navigation features without limiting the original 276 experience. With a large 5’’ display, enhanced sensors like GPS+GLONASS, barometric altimeter and 3-axis compass, comprehensive marine and outdoor features and mapping support the new GPSMAP 276Cx as a strong successor in this legendary product line. 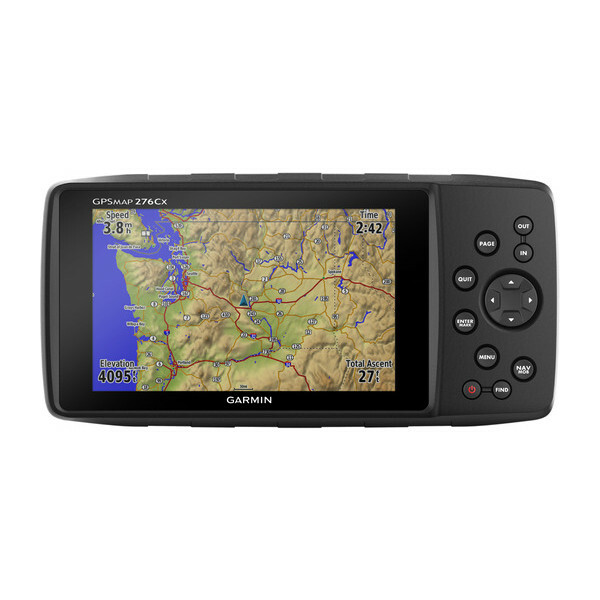 The new GPSMAP 276Cx has been developed from the legendary GPSMAP 276C, which was famously the most versatile and powerful outdoor navigator Garmin ever built. To guarantee the real 276 experience Garmin kept most of the user interface the same – even the keypad is exactly as its predecessor. 276 fans will appreciate the great degree of customisability they get with their new navigator and they will be amazed by all the new features that have been added to the classic 276. GPSMAP 276Cx gets a comprehensive refresh on sensor technology. 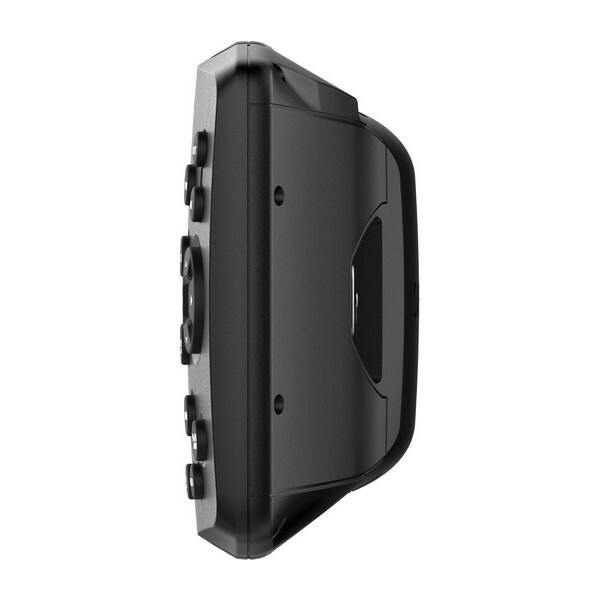 The device features GPS and GLONASS positioning for better performance in challenging environments; to get optimal satellite tracking in vehicle interiors add an external antenna (not included) to the built-in MCX connector. To improve situational awareness it now also has a barometric altimeter to get you smooth elevation readings and an electronic 3-axis compass to give you the right bearing under any condition – even when standing still. We know how critical optimum readability is during navigation therefore we created the new GPSMAP 276Cx with a large 5" outdoor-readable display with rich colour support for better mapping display. Due to its great viewing angle it can be clearly seen from various positions. So even mounted in a cockpit, the clear visibility and button-based interface allows for safe operation even in a shaky environment, like a boat or off-road vehicle. 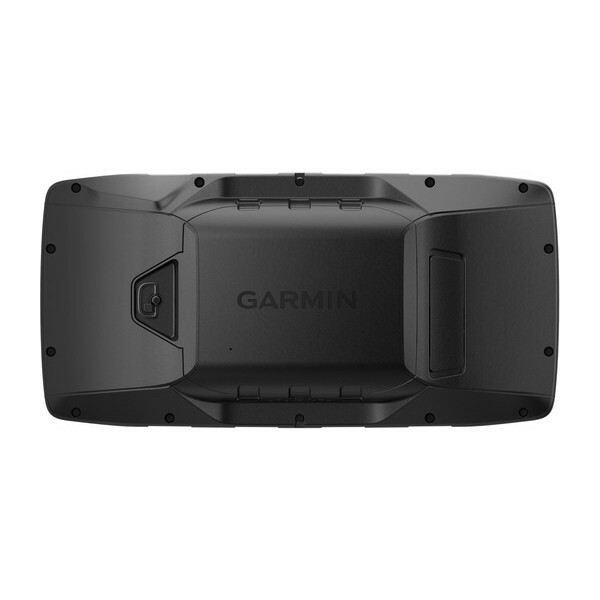 Built to Garmin’s high standards this device performs under almost any conditions. It is highly durable and water rated to IPX71 thanks to a thoroughly tested tough mounting system. With more than 4 years of experience working with the Montana®, we can provide solid mounts to put on almost any vehicle or vessel out there. To provide you with even more freedom we made the device more flexible when it comes to power supply – you can either hook the device up to the power supply of your vehicle or boat or use the NiNH power pack (up to 17h of battery life) or 3 optional AA batteries (up to 9h of battery life). 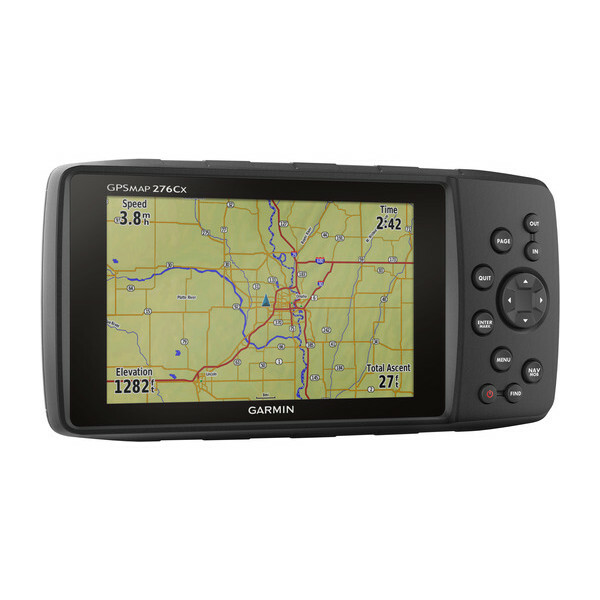 Almost anywhere you want to go, GPSMAP 276Cx has a compatible map to take you there. It comes with a large 8GB internal memory preloaded with a worldwide basemap, a Recreational Map of Europe and includes a free 1-year BirdsEye Satellite Imagery subscription. It also supports a variety of optional mapping, like BlueChart® g2 HD marine charts, Garmin TOPO and TOPO PRO maps, City Navigator® NT, Garmin Custom Maps and BirdsEye Select raster maps. A microSD™ slot allows you to expand the memory further to load additional mapping on it. Together with appropriate mapping GPSMAP 276Cx offers additional navigation features such as the well-known Drive-mode for on street navigation or Curvy Road routing for motor bike riders, that highlights smaller and more fun roads to ride. 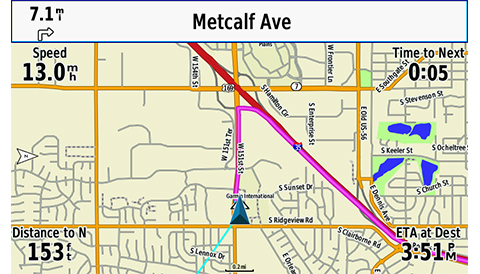 Used together with TOPO PRO maps, the device can select from a number of recreational routing options that choose appropriate road classes for each activity or vehicle. And for people that prefer navigation on courses and tracks the new 276Cx also provides advanced track navigation. 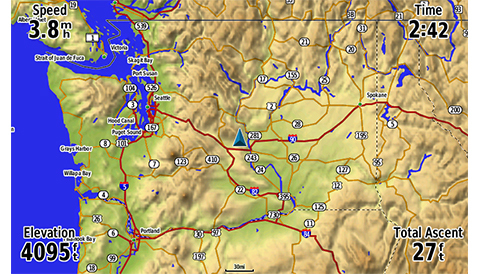 The new GPSMAP 276Cx also comes with a number of advanced connected features. You can connect your 276Cx via a Bluetooth headset to get TTS guidance in your helmet. Or once connected to a smartphone2, you can receive Active Weather3 that provides weather forecast and animated Weather Radar view on your mapping screen, smart notifications like mails, SMS or social media updates or LiveTrack that allows you to share your exact location with family and friends. 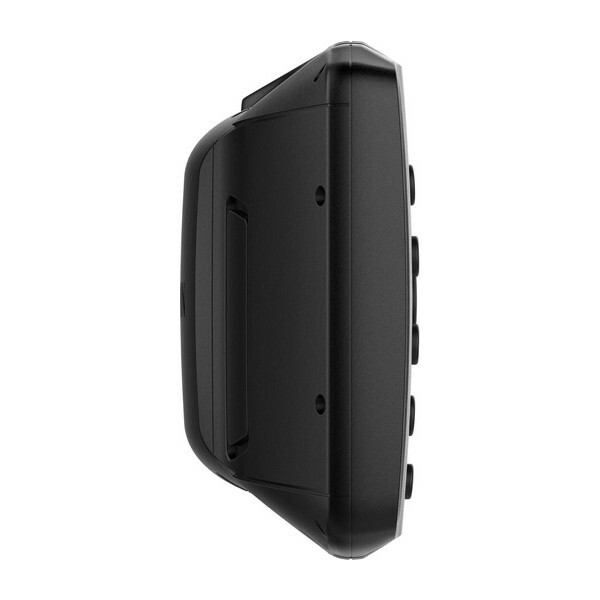 The device can also wirelessly connect to external sensors via ANT+ like tempe™ for external temperature readings, or you can connect it to WiFi for over-the-air updates and Garmin Connect™ database syncs. 3Active Weather is available in the UK, Ireland, Portugal, Spain, France, Germany, Belgium, Netherlands, Luxembourg, Switzerland, Denmark, Norway, Sweden, Finland, Austria and Slovenia with partial coverage in Northern Italy. Wi-Fi is a registered trademark of the Wi-Fi Alliance. The Bluetooth® word mark and logos are owned by the Bluetooth SIG, Inc. and any use of such marks by Garmin is under license. 1Software download required. 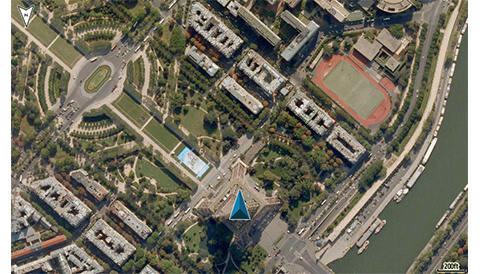 Use the included BirdsEye Satellite Imagery subscription with BaseCamp™ to transfer an almost unlimited amount of high-resolution satellite images to the handheld device for 1-year. Once those images have been integrated into the device they can be accessed whenever you need them — even after the initial 1-year offer has run out. Additional BirdsEye Satellite Imagery subscriptions can be purchased.